Online high school diploma courses are spreading more quickly than forest fires. The number of students enrolling in these courses is witnessing a steady growth rate. High School education in the US is the responsibility of both the respective governments of states and also of the private owners. It differs from other countries in that individual states determine the standard of teaching. You will receive free books and other facilities from these public funded high schools, even if you are a citizen. In contrast, if you go to private funded schools, you will have to bear all the expenses. Although these private funded schools offer a quality education that includes advanced science and math, the affluent mostly opt for them. All the general subjects like arts, music, and athletics are taught with a higher caliber. Although, all the schools must meet the basic state-postulated guidelines, quality does vary in US schools. Switching our focus from how the high schools work in the US, we can now turn to the scenario of high school education there. With the high school drop out rate being as debilitating with less than 25% students graduating from Detroit, the average of 1.2 million students dropping out of high school every year is sufficient to depict the scenario. There is more than one reason for this gloomy picture. While most of the young adults get involved with various circumstances like drug addiction, financial constraints and family responsibilities, easy access to government subsidy leading to jail terms, early parenthood that is often single and, divorce. While these are the reasons in their homes, there are some other cited reasons that can make their schools answerable. A large number of students blame poor teaching standards that led to their failing interest and zero motivation, some others refer to their poor comprehension and grasping ability and consequent failure in exams. Some even went a step further to prepare for parenthood. READ What Are The High School Courses Students Need Help With? While this is the picture of high school education in the US, coupled with the burning need to go on a crazy hunt for just any job, online high school diploma courses are in rising demand. According to the US Bureau of Labor Statistics, employees with high school diploma are paid $174 more than those without it. There are also the home schoolers, who have continued regular learning as of now, but want to earn a four year diploma. The online diploma courses carry weightage in allowing you to juggle between your full time job and studying. For this, workers from different sectors are discovering pulse in the online courses to brush up their long forgotten skills along with enhancing them. The biggest advantage of the online diploma courses is that you will not have to join time based classes and attend lectures on a regular basis. You will have the freedom to study at your convenience and at your own supervision. Along with the full four year diploma courses, small time crash courses are also available to avoid learning subjects you don’t find useful. After you make your mind to bring in the added luster in your skills, the question that arises is which course to apply for and from what college or university. You will find numerous sites giving you the exact details you want while choosing your course and respective institute. The quick search on college campus will help you find institutes adjacent to your locality. Perhaps, you don’t belong to any of the above stated situations and simply want to switch your career considering the demand for multi-taskers. In the running economic scenario, a single skill isn’t sufficient to firmly hold you in your place for eternity. The situation calls for emergency managers, and the more skills you will add in your CV, the more you will go up the ladder. 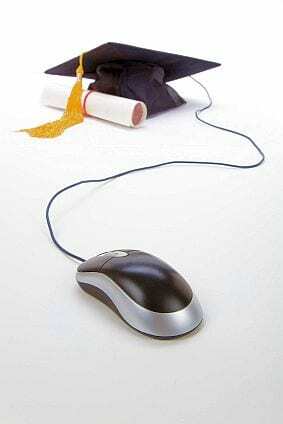 There is a host of reputed colleges and universities that offer online high school diploma courses on different subjects. The area of their expertise range from Art, Science, Hospitality, Business, Education, Law Enforcements and Criminal Justice, Liberal Arts, Engineering, Technology, Social Science, ESL (English as a Second Language), Health Care, Fashion Designing, Real Estate Training along with various Vocational Courses. These courses also have many more sub categories. Ashford University is bustling with its Arts courses at different degree level with the Masters in Business Administration, Colorado Technical University Online has the right answer for each one of you aspiring to be a high profile techy, in need of a competitive advantage or just wanting to brush up your skills. Penn Foster College offers Accounting, Finance and Paralegal Studies from their multifaceted curriculum. You can enroll in Walden University if you have an interest in Education, Health, Engineering, Human Service or Psychology. The situation is that you name a course, and hundreds of universities with their exclusive course packages will be presented before you. Don’t wait, make the most out of these courses and give a new dimension to your life.